A soldier of the Nigerian Army, Private Lawal Riliwan of Nigerian Army Sports Camp, has emerged overall Champion at the just concluded 2016 Edition of the Lagos State Governor’s International Boxing Tournament which took place today at the Indoor Sports Hall, National Stadium Lagos. 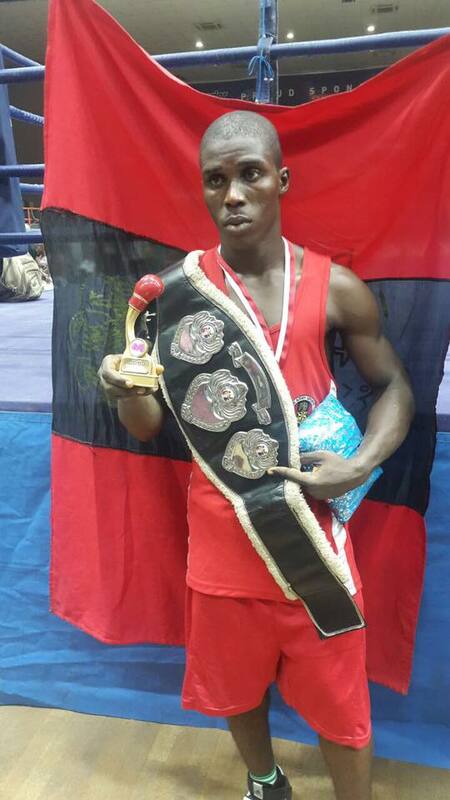 During the tournament, Private Lawal Riliwan defeated Dotse Dekpakou of the Republic of Togo to emerge the Overall Best Boxer thus, winning the 2016 Governor’s Belt. 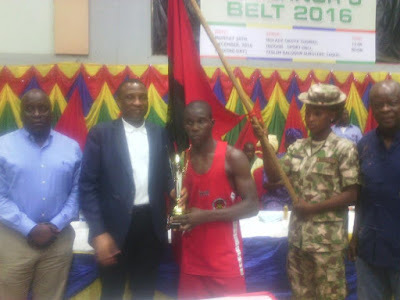 You may recall that Private Lawal Riliwan won the Gold Medal in the 60kg weight category of the boxing event of the recently held Nigerian Army Sports Festival 2016 held at Abuja in October this year. 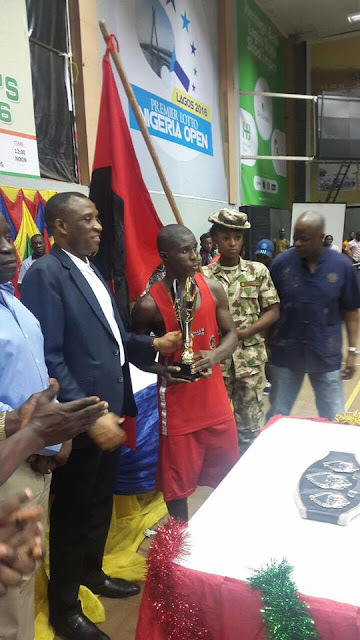 Already, the Chief of Army Staff, Lieutenant General Tukur Yusufu Buratai, has personally and congratulated Private Lukman for winning the Championship. 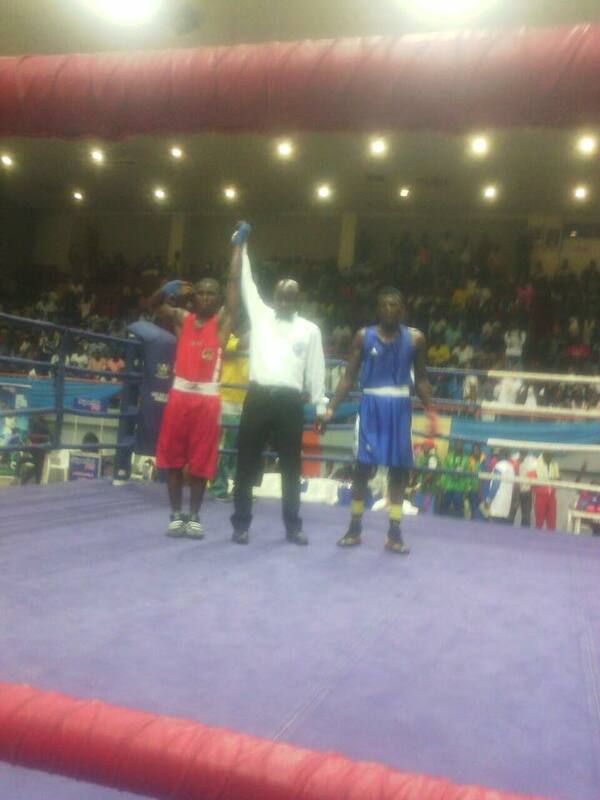 The Governor’s Belt as well known by all, is one of the oldest and most renowned boxing tournament in the country. It has been won by great boxers such as Eddy Ndukwu, Obisia Nwakpa and Davidson Andeh among others. The Champion and his highly valued trophy will be formally presented to the Chief of Army Staff at the Army Headquarters Abuja later.